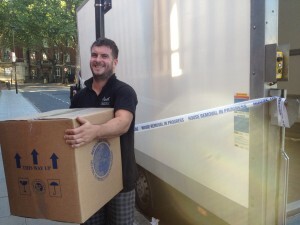 Looking to move a small amount of goods or simply don’t have the budget for a complete removals service? Our Brackley Man and Van service is perfect for smaller removals and will suit any budget. We know that moving house can be expensive so our competitive hourly rate will ensure that you only pay for the time you use. If you want to lower the cost of your move and are looking to transport the lighter items yourself then we can help. Our Brackley Man and Van service is ideal for helping with those more awkward and bulkier household items that can be stressful physically exhausting if not done correctly. We operate in and around Brackley, Northamptonshire with UK wide delivery so wherever you are moving we will get your goods there safely and set up just where you want them. To get a quote you can email or call us with an exact list of the items you would like us to move and we’ll come back to you with a competitive price.